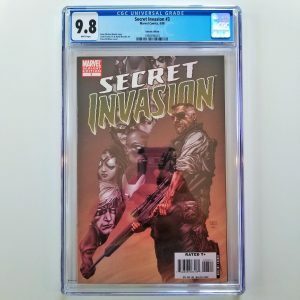 Available for sale is the Daredevil #169 graded by CGC in 9.4 NM condition featuring the second appearance of Elektra. According to the CGC Census, there are only 212 issues of this classic bronze age comic graded in 9.4 condition or better. Available for sale is the Shattered Comics Edition of Daredevil #597 graded by CGC in 9.8 condition. 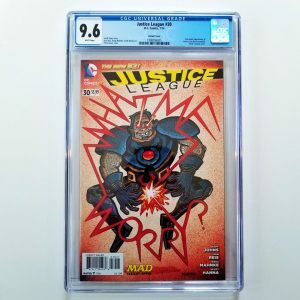 According to the CGC Census, as of this listing there are only 32 issues of this very comic graded in 9.8 condition. This Tile Mosaic variant pays homage to the classic cover of Daredevil #158 and is the perfect addition to your graded comic book collection. One of the best covers of 2017 (as rated by me), what’s not to love about this vintage Star Wars style comic? Limited to just one comic for every fifty regular issues printed, this homage to a bronze age classic is in high demand and is highly collectible. With new Star Wars movies coming out each year, you can expect the values of comics like this one to steadily increase over time. The slab listed here recently sold on eBay for $95 with free shipping. Click here to find another like it today! Available for sale is the David Lopez “Venomized” Variant of Deadpool #28 graded by CGC in 9.8 NM/M condition. 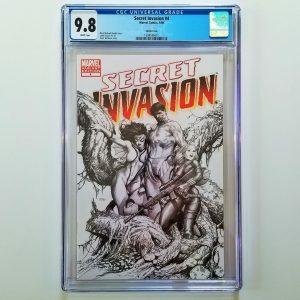 According to the CGC Census, only 87 copies of this variant have been graded in 9.8 condition, making it relatively difficult to come by. Grab this hot slab today while you can. 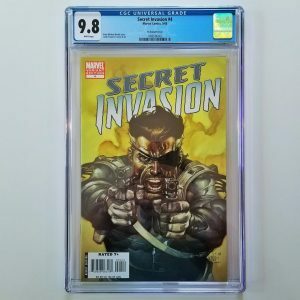 Available for sale is Deadpool Kills the Marvel Universe Again #1 graded by CGC in 9.8 NM/M condition. 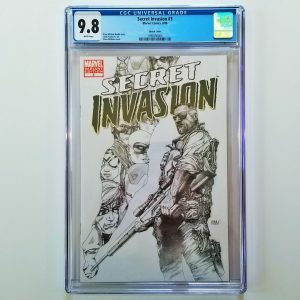 According to the CGC Census, there are only 57 copies of this variant graded in 9.8 condition. With Deadpool 2 set to hit the movie theaters in May of 2018, you can bet that demand (and thus the prices) for key and collectible Deadpool comics will steadily increase. Grab this one today while it’s still here! Available for sale is Groo The Wanderer #1 graded in 9.0 VF/NM condition by CGC. Published in December of 1982, this is the first time Groo appeared in in own solo comic.